Cleveland sports fans wonder about Gregg Williams and Freddie Kitchens as NFL head coaching candidates and whatever happened to Patrick McCaw. CLEVELAND — "You Said It" is a reader participation column based on the premise that if you don't laugh about Cleveland sports you'll cry. Bud: You’ve always provided Cleveland sports fans with incredible insights. What are your takeaways from the Patrick McCaw Era? — Vince G., Cincinnati. It’s easy to be cynical about McCaw’s short stay with the Cavs. The league is even investigating it, after all. But I feel no less strongly about his contribution here than I did about Andrew Bogut's. Bud: Does Baker Mayfield hold the record for the longest run backwards in a rookie season? — Michael Sarro. I’m not sure what it says about Mayfield’s taunting of Hue Jackson but Vince McMahon thought it was over the top. Bud: If Fran Tarkenton was still playing, would he be scrambling or “extending plays?” — Eddie Vidmar. Tarkenton, the great Vikings quarterback of old, turns 79 next month. While a NFL team would still sign him ahead of Colin Kaepernick, he’d probably be more of a pocket passer these days. Bud: Does the ‘Q’ scoreboard ‘Diff’ operator get combat pay? — Jim Corrigan, Fairview Park. No. But admittedly it's hard to tell the difference between the barrage opponents unleash in second halves and the first five minutes of "Saving Private Ryan." Bud: Possible questions on John Dorsey's head coaching interview checklist: "Do you read Bud Shaw's "You Said It" column?" "Has it influenced your coaching decisions?” — Jim Walsh, Olmsted Falls. Bud: Are you giving Dorsey a pass on trading Tyrod Taylor for a third-round draft choice? — Jim, Mentor-on-the-Lake. No. But if I were, the appropriate pass to give him on Tyrod Taylor would be a seven-yard pass on third-and-eight. Is it possible we have an owner who won’t bring back a coach who went 5-3 ... “at the same time” bringing back a different coach who went 1-31? Is it possible Andrew Luck and Corey Kluber are in the Amish Mafia? — Devin, Concord. If the second one concerns you more than the first, I can only assume you're a Billy Gibbons lookalike and fear a beard-cutting attack. 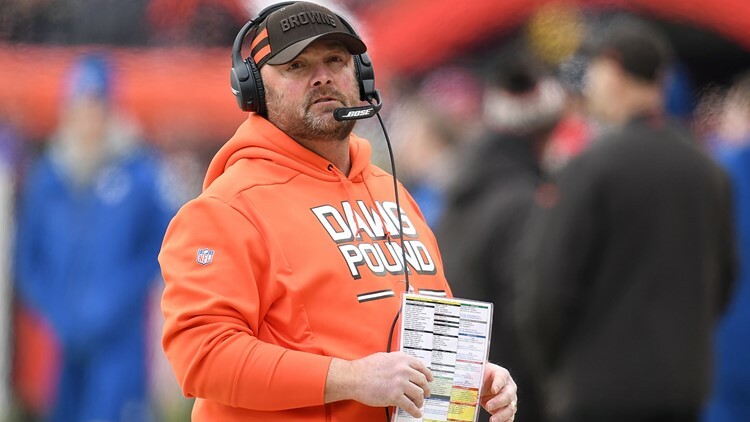 Bud: What should console the Browns more about possibly losing a key member of the 2018 coaching staff? The lack of interest around the NFL in Gregg Williams as a head coach, or the lack of interest around the NFL in Freddie Kitchens as a head coach? — Kevin. You Said It “winners” come recommended but not highly.